Are you looking for professional gutter cleaning in Cranbourne? Whether you’ve been putting off cleaning your gutter because your roof is not safe to climb on or you simply have better ways to spend your time, hiring the LeafVac team to clean your gutters is the ideal choice. Regular gutter cleaning is essential, as untreated gutters can lead to leaking basements, rotting wood, roof damage and a plethora of other issues. Our staff are fully trained, qualified and insured, using cutting edge technology to provide a heavy-duty, powerful clean of your gutters that will help you avoid a long list of potential damages to your property. Our vacuum excavation machine is safe, fast and will remove the toughest of blockages, preventing leaks and water damage to your home. Say goodbye to that build-up of old leaves, dirt, sludge and twigs you’ve been meaning to get to for ages and let LeafVac take care of it for you. Hiring a professional gutter cleaner is a much safer, more convenient option than trying to do the job yourself. 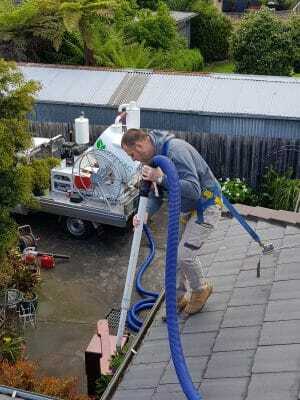 Our family owned business provides fast and reliable gutter cleaning services in Cranbourne, ensuring privacy for you and your neighbours, and providing before and after photos so you can see the difference hiring a professional can make. Call LeafVac today on 0455 488 837 to book your professional gutter cleaner in Cranbourne and enjoy peace of mind for the rest of the season.